In the world of today's SEO, domain and page authority gave a real shot for website rankings. As Moz introduced domain authority to determine how well the websites will rank in search engines against the competitors. The website which has more domain authority gives more strength and search engines will give more preference to rank in search results. Domain authority checker tells how well your domain plays an important role in ranking factor, it may be based on domain age, popularity, and links (inbound and outbound). So we offered free seo tools to check domain authority of your site without registration, not only 1 domain you can check 20 domains at once without much effort. How relevant a website is for a specific industry is given by domain authority. The relevance of a website has a direct impact on ranking by a search engine like Google. You can say domain authority is a search engine ranking score. Domain authority ranges from 1 to 100. Higher the domain authority greater are the chances of ranking for a given term. 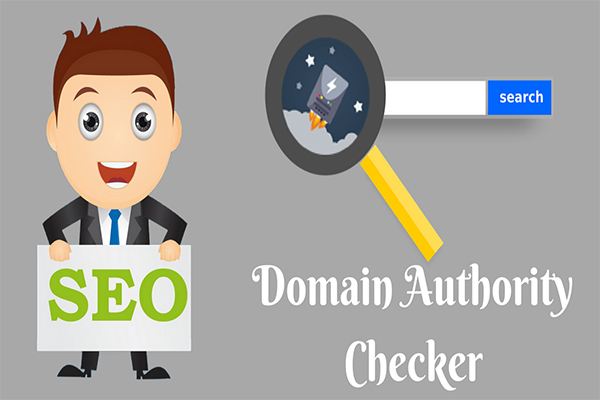 Domain authority checker helps to check the domain authority of a website. Domain authority means a search engine ranking score, which predicts how well a website will rank on a search engine result page or SERP. Domain authority is the power of a domain name and one of the several search engine ranking factors. Domain authority means the relevance of your website and depends on its age, popularity, and size. There are multiple factors which help calculate domain authority. These include linking root domains and the number of total links which give the DA score. DA score compares websites and tracks “ranking strength” of a website over time. What is the root domain? The overarching structure which contains the subdomains and every folder that belongs to the website is called the root domain. You can give any names for a subdomain and can create them under whichever root domain you control. You have domain authority score on a logarithmic scale from 0 to 100. Its easier to go from 30 to 40, than 70 to 80. There are plenty of websites out there and you want to build backlinks. How do you know which websites to target? All websites don’t have an equal ranking. Some websites have better respect and reputation. This is where domain authority comes in. domain authority and that’s where domain authority checker comes in. There are many domain authority checker tool available online. Use any domain authority checkers to check the domain authority of your website. Just Use a domain authority checker to check the performance of your domain. There are free to use domain authority checker tools to check the domain authority of your website. Domain authority checker tools work on browsers like Google Chrome, Mozilla Firefox, and Safari. Not just domain authority, you can even check page authority on free domain authority checker tools. How Is Domain authority score calculated? Mainly domain authority score is calculated using several metrics combined. But backlinks are the backbone of all rankings, so any links from high authority sites pointing to your site will have a huge impact on rankings than other key metrics. The more the link juice pointing to your site will have a huge ranking potential and increases in domain authority score. To know exactly how many backlinks you have been obtained, use the backlink checker tool to identify backlinks data. Domain authority measures the strength of entire domains and subdomains. Page authority measures the predictive ranking strength of just a single page of your website. Higher the page authority, greater are the chances of that page of your website, ranking in the search results. Page authority is measured on a logarithmic scale from 0 to 100. Domain authority refers to the main domain, while page authority refers to pages of that domain. Domain authority is constant for the website, while each page has different page authority. Domain authority gives the chances of a domain, ranking on a search engine result page. Page authority gives the chances of an individual page on your website, ranking on SERP. Page authority contributes to the strength of Domain authority and not vice versa. Why domain authority is more important? Domain Authority and Page Authority are both important for website visibility. Focus on Domain Authority as a long-term investment. Don’t ignore the Page Authority. If you have great content on a particular website, you want that particular page to rank well in the search engine result page. As more and more pages of your website rank in SERP, Domain Authority increases. Focus on Domain Authority if you want to increase Brand Value. Focus on Page Authority if one page of your website is competing for a specific high-value keyword. Both page authority and domain authority are calculated using the same methodology. This makes them alike, yet different. For your SEO campaign, you need both, page authority and domain authority. Page authority predicts the chances of a single page of your website ranking well, irrespective of its content. The Domain Authority Checker Tool helps to check the Domain Authority. Without Domain Authority Checker Tool, you will not know your website DA score. Domain Authority score or DA score is a number between 0 to 100. Calculate Domain Authority by evaluating linking root domains and number of total links to get DA score. A higher DA score shows a greater ability to rank. DA score shows the strength and relevance of your website vis-à-vis a particular subject. If your Domain Authority is higher than your competitor, then your website will rank higher. The DA score shows if your Domain Authority is higher than the competitor. Domain authority checker tool has another important use. If your DA score is low, there are ways to increase it. Check DA score with Domain Authority Checker Tool and improve it. A DA score between 40 to 50 is average. DA score between 50 to 60 is good. DA score above 60 is excellent. Use Domain Authority Checker Tool to check if DA score is low, average, good or excellent. The Domain Authority Checker Tool shows more than just the DA score. It shows metrics, Page Authority, IP address, and IP location. You also have the download option where data is displayed in an Excel sheet. Why we need a Domain Authority Checker Tool? More than 50% of people search for a brand if its name comes up more than once in the search engine result page. For your website to rank higher in the SERP, it must have high domain authority. Use Domain Authority Checker Tool to know the DA score of your website. DA score is between 1 to 100. The closer you are to 100, the more is the traffic and better the rank. You cannot buy domain authority, nor can you steal it. Increasing domain authority is not easy, neither is it difficult. If your domain authority is 20, its quite easy to raise it to 30. The problem is to raise the domain authority beyond 50. Take a look at these steps to increase domain authority. When it comes to websites, content is king. Content attracts visitors to your website. Never compromise on content. Videos, GIFs, and images make content appealing and interesting. To increase domain authority, content is king. Unique and easy to read content, increases DA score. The length of your content or how many words you write is immaterial. Your content must be unique, relevant and of high quality. When it comes to content, length is the key. Content must be of good length or more than 800 words. Longer the Content, Better. Short, uninspiring content means poor domain authority. Stick to unique content. Stealing someone’s content can land you in trouble. Do not copy someone’s work. Use synonyms. These are words of the same meaning. This stops you from using the same words, again and again. Stick to the topic. Don’t discuss unnecessary things. On-Page SEO optimizes a website. It takes your DA score from low to high. Use this checklist for on-page optimization. Understand keyword density: Avoid keyword stuffing. Keyword stuffing is an SEO technique in which keywords are loaded on webpages visible content, meta tags, and backlink anchor text. This gives an unfair advantage to vis-à-vis other websites. Stick to keyword density between 0.5% to 1.5%. Use Heading Tags: Use H1, H2, and H3 called heading tags to highlight the main points in your content. Long-Tail keywords: Your blog posts must have perfect keywords. Long-Tail keywords are easy to rank. Long-Tail keywords are a keyword phrase which contains at least 3 words. They are for niche demographics and not the masses. SEO friendly Permalink Structure: A permalink is a web address which links your content. They are permanent URLs to individual pages and blog posts. As they are permanent, hence the name, permalink. The permalink must contain the focus keyword. Get the meta description: A meta description is a snippet of 155 characters which summarizes your pages content. Never leave meta description blank and have your focus keyword in the meta description. Write keyword rich titles: Keep an attractive title for your blog. The title should start with the focus keyword. Optimize images: Go for image optimization by reducing the file size, without compromising on quality. This helps pages load faster. Decorative and catchy images are easier to rank on Google and other search engines in image search. Internal linking increases the time visitors spend on your website. It reduces bounce rate which is basically what visitors do after they visit your website. Do they stick around or leave immediately. A low bounce rate increases domain authority. Link old posts which are similar to current posts. This helps bots/spiders to easily find content, and crawl through them. Internal linking spreads Page Authority throughout your website. Make every internal link, Do-Follow. Do-Follow links allow search engines to follow them and reach your website. Use the targeted keyword as anchor text. Anchor text is the highlighted text in the hypertext link which you click to open a target web page. Generating high-quality backlinks are difficult, but worth it. Many bloggers generate backlinks using sites which guarantee backlinks in a few minutes. Generating backlinks using illegal methods brings down domain authority. Google can even penalize you with a ban. Share content on social media sites: No matter how good a website, you must share content on social media sites like Twitter and Facebook. Share blogs on Twitter and Facebook which have high domain authority. If the content is good, it goes viral real quick. Go for guest posting: Guest posting increases traffic if done in a systematic way. First, create really good content. Post only on high authority sites. Avoid link stuffing. Post only on related topics. Post only relevant links. Post rich content: Use content as a natural link-builder. Find this difficult to understand? I’ll explain. Let's say Ravi created some really interesting content. Suresh found this content unique and linked his blog post to make his content more unique. Ravi got extra backlinks and helped Suresh in composing a good post of his own. Writing good content helps more than one person. Create linkable content to bring more traffic to your site. Don’t focus just on quality links. Remove bad links regularly. This improves domain authority. Not removing bad links, spammy and toxic links brings down DA score. Not removing bad links brings down DA score on SERP. Domain age increases DA score. If your website has been around for 2-3 years, then its most probably a good one. Don’t worry too much on DA score if your site is 2 or 3 months old. Keep posting good content and domain authority goes up with time. Show patience by booking your domain for 2-3 years. Domain authority goes up if the content is posted frequently. It goes down, if not. Regular posting increases traffic and revenue. There’s new stuff to share with readers. Trust among viewers = More conversion and more sales. There’s lots of quality content to link. It's really simple. More you blog, more the traffic as you link to old posts. How to use Domain Authority Checker Tool? There are plenty of free domain authority checker tools. Always use the best. It's your business at stake. A domain authority checker helps check 20 URLs at once, Sort results by clicking on values. Free domain authority checker allows checking of unlimited web pages daily. Download the Excel report and use it for the business. STEP 1: Paste up to 20 URLs to view domain metrics by placing URL in the given box. STEP 2: Click on the submit button for Domain Authority score. STEP 3: Check all the domain authority score for the different website on Google. Copy and paste the Urls into excel for future reference. 1) Domain age: Many new websites appear daily to run their site is either for business or personal use. It may not be survived very long time to run a business online and domain age will be very less compared to competitors and fail to rank, the website owners should register their website for long years to rank in search engines because domains are very less price to renew and keep continuing your business. Improve your link building through content marketing from other sites which have higher authority in order to increase traffic. Do not buy any links from third party sites because the link will have a negative impact on your seo ranking and decrease rankings from search results. Link building should be increased slowly at regular interval of time by writing good content on third-party websites, social media, press release sites. Link building should be balanced both no-follow and do-follow links without getting blacklisted as per search engine guidelines. Always focus on Quality of links not the quantity of links, because that is the key strategy for online success. 3) Authority: Do not hide your details on the website, because Google gives more preference to the website which follows authority information like authors name, external links, rich snippets optimization. 4) Https: HTTPS provides secure access to web pages by encrypting data between server and web-browser for easy secure data transfer. Even Google is giving more preference in ranking at a small portion and helps increase in domain authority score. Just purchase genuine and trusted GoDaddy SSL certificate to maintain secure transaction between server and web browser. .COM is globally played in ranking. 6) Internal and External links: Build internal and external links within the web pages using anchor text within the content, so it helps both user experience and search engine spiders to crawl, index website easily. 7) On Page Optimization: On page should be clearly structured with navigation, optimizing meta title, description, sitemap, robots file, internal and external linking, header tags, alt text for images, implementing long tail keywords in the content for better seo. 8) Social Media Signals: This is also one of the key factors in improving domain authority score. Increase in likes and shares on social media will gain more strength to site and rank well.